Hello! I’m Sue Dyke. Welcome to Almosta Farm online. My husband, Steve and I live in the beautiful state of Nebraska. I raise and show Highland Cattle and absolutely love it. Of course the star of our herd is Skye High Koal himself. But every single one of our bulls contributes his powerful DNA to our thriving herd. Come meet our gentlemen! We hit the show circuit every season, and love doing it! 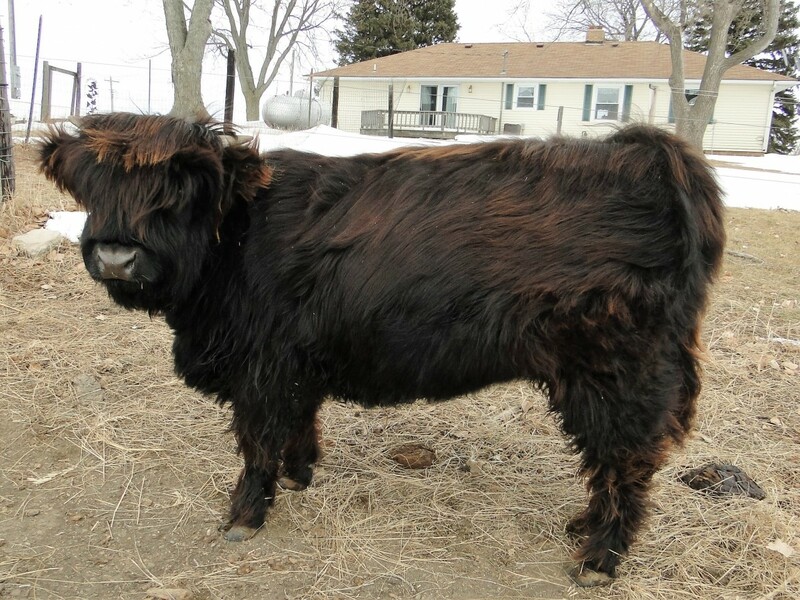 See the excellent results our “Almosta Gang” of Highland Cattle earned in all their classes! See what’s happening around Almosta Farms! As I am looking at the website it occurred to me that it has been a year since I have updated it. Where has the time gone? It doesn’t matter how big or small your farm is, there is always something to do. With 2018 winter season wanting to hang in there through the first half of April, I am very grateful for the big barn . It makes calving so much easier and the cows enjoy a little “spa” treatment while they are waiting or after they have had their calf. 2018 was the first year we had a set of twins! I am not sure who was more surprised, me or the commercial cow. She handled it like a champ and raised both heifers by herself. It seemed we went from winter right into summer making the breeding season hard on the animals. So this year I see calving is going to be stretched out longer than normal. This is always an exciting time of year, but more so this year. This will be the first calf crop for J BarT Xtreme and Almosta Farm’s Brogan’s second. As usual, I hit the ground running in the summer. I have been blessed because of this breed to have met so many folks. The greatest joy is watching Juniors grow with confidence and ability throughout the year. More often than not, I am blessed to have met a new junior that wants to get their feet ‘wet’, working with cattle. This was one of those years. Charli Broderick and her Mom attended the 8th Annual Cow Camp held in Stanwood, MI to learn as much as she could about being around cattle. When I met Charli, I knew this was going to be a huge weekend for her! It doesn’t get any better for me than to watch a child that is so scared but was determined to work through her fear. By the end of the weekend, she was confident working with her assigned heifer with ease. From there, she was hooked! Her family brought her to the U P State Fair in Escanaba, MI where she showed with confidence and did very well. The unsung hero’s with these juniors are the families that support them, getting them where they want to go, allowing them to spread their wings as much as they can and fly with confidence. With these kids, it’s not all about the show ring and awards but teaching them responsibility, patience and confidence that will have an impact on them throughout their lives. If you find yourselves in the Northeast NE and have a few minutes, please stop for a visit. We also have a guest house if you want to have an extended stay. need a place to stop for the night, we also have room to unload your animals. Hope to see you at the farm or on the road. For the first time, Almosta Farm has had a set of healthy twins. Almosta Farm Maggi, daughter of Monopoly had twins. Almosta Farm Milli was born at 68 lbs. Almosta Farm Molli was born at 78 lbs. Here they are enjoying their first lunch. 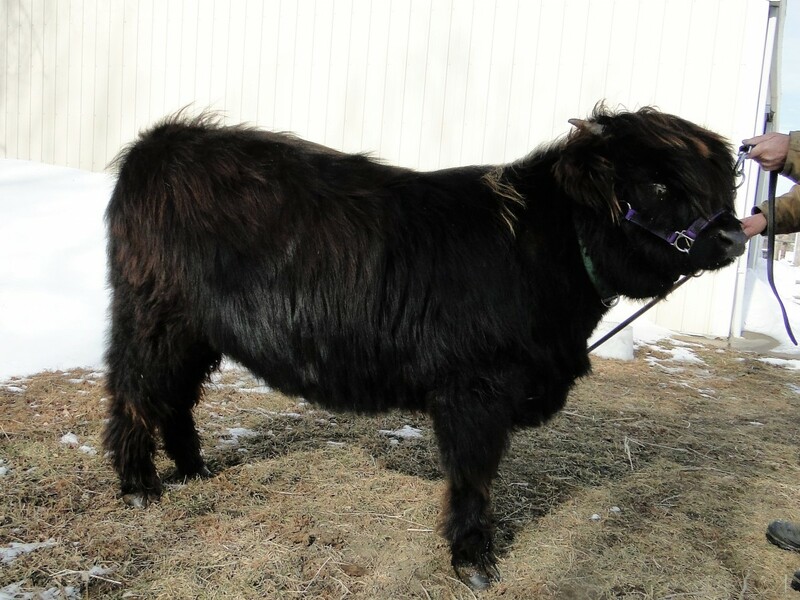 We are very excited to have 2 consignments for the Heartland Highland Cattle Spring Auction on April 28, 2018 held in Lebanon,MO., at 2:00 pm. If you have any questions about these heifers feel free to contact me : sue@almostafarmhighlands.com. As I am sitting at my desk catching up on things, I see we are already in the 3rd month in 2018! I am still trying to figure out where 2017 went. Last year was met with many challenges making me stop to ask myself where did the time go. The hardest challenges were making decisions with 4 of my senior cows. These girls were such great teachers, never had a bad day and gave me awesome babies. I am forever grateful to them. With the 2017 calving season over, the cows were in with the bulls, it was time to hit the road. Having traveling partners, makes the miles more enjoyable and the time go by faster. Each year that I work with Juniors and their families just gets better and better. I try to share what I have learned through the years, but I also find that I learn a lot from them. 2017 ended with many great memories and ready for the New Year. Please look through the website to see what a great 2017 Almosta Farm had and check us out on Facebook. Our 2018 calving season will start in a few days, expecting 7 purebred calves and 4 crossbred calves. Always remember that the you are always welcome to walk the pastures and if you are tired, you can rest in our guest house; Almosta Home. Please give a quick call, to make sure we are home. With months of planning to attend the National Western held in January it quickly comes and goes. The truck, trailer and equipment are washed and put away. It is so much work with long days and short nights, but when you work with fellow “Cow Friends” it creates memories that last the following year and beyond. It’s all about promoting the animals, the farm and educating the public about this great breed. This year we had a display of 4 Highland cross bred animals hoping that it would spark conversations and boy, it sure did. With the New Year off to a great start, we are looking forward to the calving season starting in early March. We are expecting 8 purebred and 4 cross bred calves so Stay tuned. We have so much history saved on this website. Check our the rest of our blog posts here!